Have you tried stretching or strengthening exercises for back pain relief with limited, no results or actually felt worse? According to Dr. Devin Stanlanyl M.D. states ” You cannot strengthen a muscle that has a trigger point, because the muscle is already physiologically contracted. Attempts to strengthen a muscle with trigger points will only cause the trigger points to worsen. In addition, strengthening without correcting postural dysfunction, will strengthen in that position of the dysfunction. Here are some myofascial stretches to help correct posture, before attempting to strengthen. Lie on your back with one leg on a chair or ottoman. With the opposite leg, start at the top wrung. (This foot should already have the foot pedal attached.) Keep your palms face up. Relax on each level for a minimum of 5 minutes. Notice how your low back feels in relation to the floor. Does it have an arch or is it flat to ground? 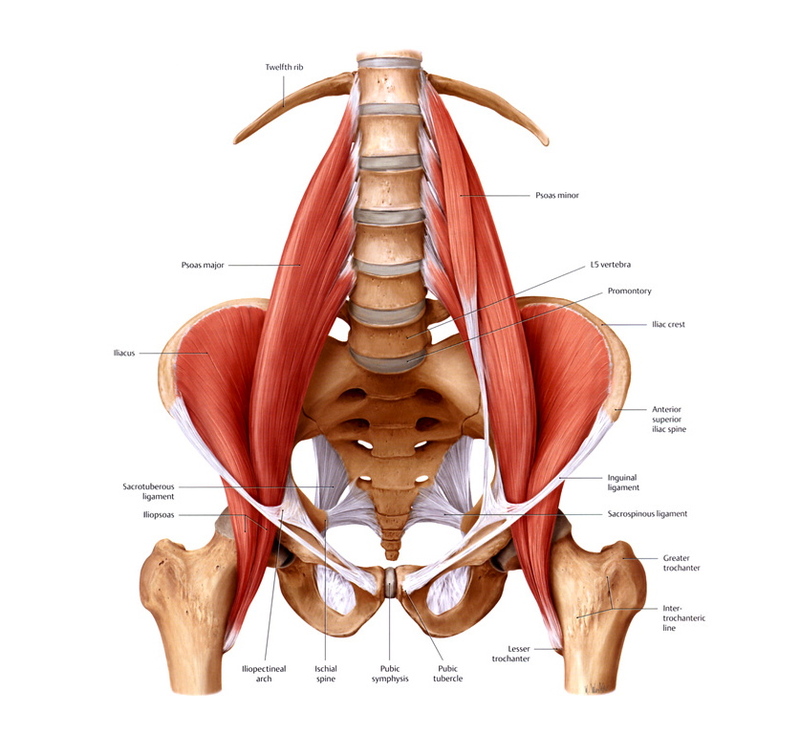 If it is already flat as soon as you begin, you should try the supine psoas release instead. If your back is arched, wait until you feel it closer to the floor then, go to the next wrung. It is best to do all the levels but not necessary. You may want to attempt the first 3 levels. Don’t forget to do both legs. 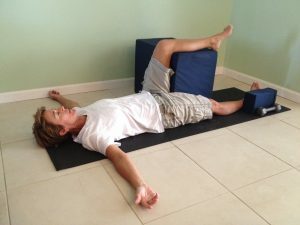 The Supine Psoas Release in the tower passively helps with elongating the psoas muscle, while it passively tractions the spine, hip, knee and ankle. This also helps with the following issues: back and neck pain, hip pain, knee problems, pinched nerves, sciatica, degenerative hips, hyper kyphosis or “hunch back”, forward head posture and more. This stretch allows the hips to settle and take pressure off the spine. Make sure stretched out foot does not flop out to the side. Lie on your back with your leg at 90 degrees on top of a chair or ottoman. Have your opposite leg straight out in front. Put a block on the outside of your foot (or something else) to keep your foot from flopping out to the side. Keep your arms out to the side with palms face up. Relax in this position for 15 minutes. Switch legs. Both of these stretches help to elongate the psoas muscle. This creates a positive reaction up the kinetic chain. Basically, it helps with proper posture alignment. As you can see, the psoas attaches to the lower back vertabrae, goes through the pelvis and attaches to the lesser trochanter (inside of leg bone) This muscle when too tight and contracted causes low back pain and other dysfunctions that run up and down the kinetic chain. It can cause symptoms such as back pain, neck pain, headaches, hip pain and more. You just may want to think about keeping this guy lengthened and healthy. Please Note: If you have a joint replacement or have hyperextended knees you do not want to use the tower. As with any new stretching or exercise program, always check with your doctor first.